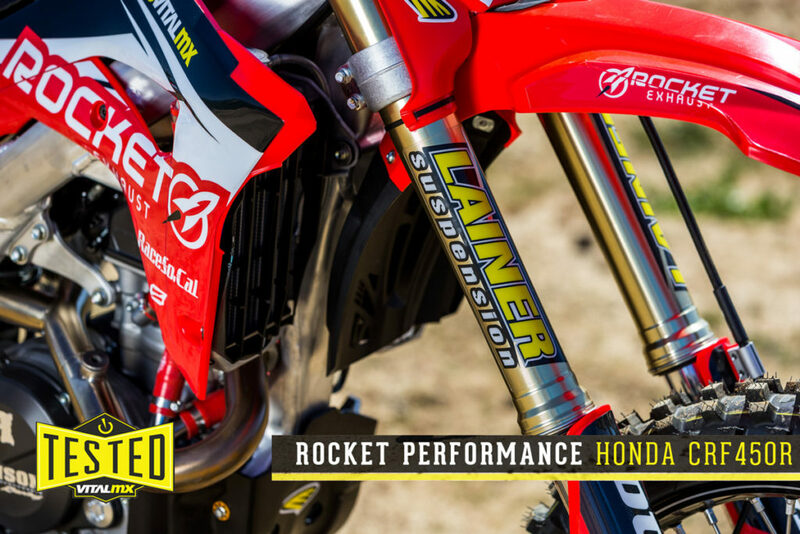 Just came out on Vital MX the article with the impressions on the CRF 450 2018 specially “prepared” by Rocket Performance with Lainer Suspension Racing’s collaboration for the suspension department. The test took place at Cahuilla Creek Motocross track in Southern California with the tester rider Michael Lindsay from Vital MX who highlights all the technical details of this bike full of special aftermarket parts to increase its performance to the maximum possibilities. In addition to the rest, even the suspension department fulfilled Lindsay’s requests who found a good setup able to respond to its best along the whole Cahuilla track. The suspensions have been setted up specifically for Lindsay, using our special parts for Showa and of course our HT-SinLubit oil, inseparable partner. We are therefore extremely satisfied with the result, which is important to confirm our constantly evolving work in search of high quality products to offer the best to all our riders. “[…] Overall, the combination of Lainer’s valving, choice of spring rate and personal oil must have done the trick as the fork was as plush as I’d hoped for, taking the edge off of what I usually feel on a stock CRF, but having just enough hold up to push a bit harder around the track. As I mentioned above, though, chassis balance was important to me so the front end didn’t feel overweighted due to a softer setting. 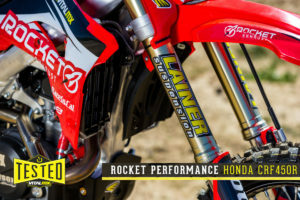 Lainer was able to match the excellent performance up front with a rear shock that matched up well, especially under braking where the whole bike settled nicely on entrance and through the middle of the corner. […]”.